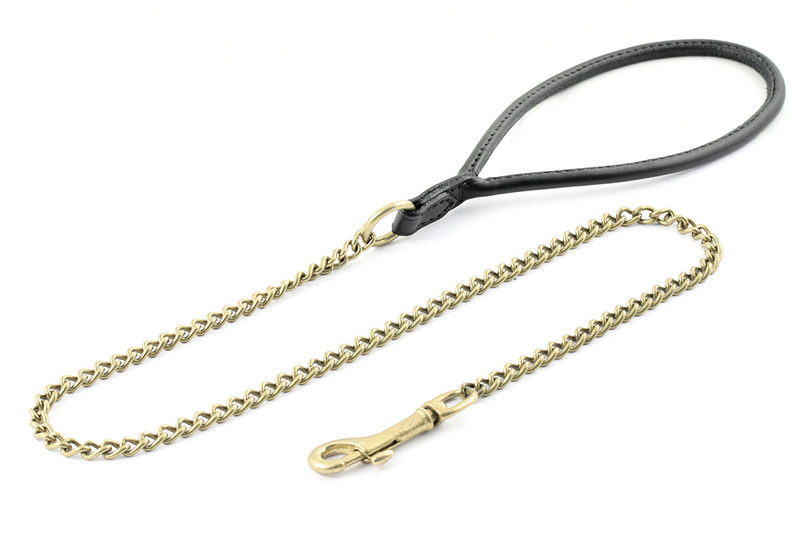 This is a solid brass chain leash with rolled leather handle made for a guy in Singapore. 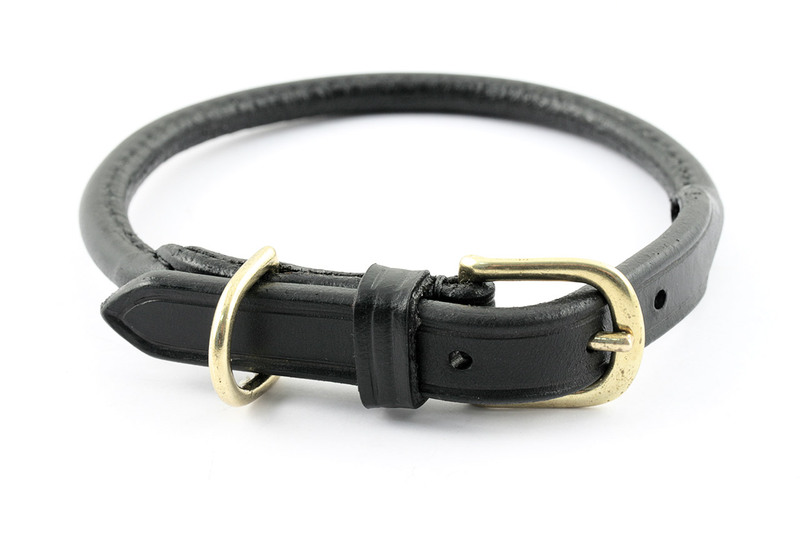 It's suitable for size S-M dogs (the chain is Walsall made and features welded rings), but the chain is also available for bigger dogs. Solid brass only.